Inspired by and connected to visual arts, dance, film, and history, Parkins follows a unique path in creating her compositional works. 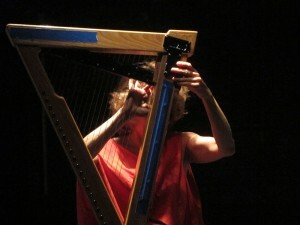 Through blending and morphing of both real and imagined instruments; crafting, recombining, and layering mangled, sliced, massaged or possibly disengaged sounds; drawing from extra-musical sources for unusual scoring and formal constructions as well as utilizing multi-speaker environments, Parkins remains in process with sound as material and music, engaged in translations of sonic states in the concert hall, the black box theater, the dance studio, the recording studio, the classroom, the cinema, the skyscraper, the ocean and the gallery. Parkins has a particularly strong commitment to making scores for dance, and continues to re-evaluate the nature and issues of the body’s imprint on sound and sound/music’s imprint on movement. Parkins’s compositions have been commissioned by nextworks ensemble, Merce Cunningham Dance Company, Roulette Intermedium, The Eclipse Quartet, William Winant, Bang on a Can, The Whitney Museum, The Tate Modern, Montalvo Arts Center, The Donaueschinger Musiktage and Sudwestrundfunk/swr. As a sought-after collaborator Zeena has worked with: Björk, Fred Frith, Ikue Mori, Dame Evelyn Glennie, Maja Ratkje, John Zorn, Butch Morris, Chris Cutler, Elliott Sharp, Nels Cline, Alex Cline, William Winant, Anthony Braxton, Pauline Oliveros, Yoko Ono, Christian Marclay, Matmos, Yasunao Tone, so percussion, Bobby Previte, Carla Kilhstedt, Tin Hat, Kim Gordon, Lee Renaldo and Thurston Moore. 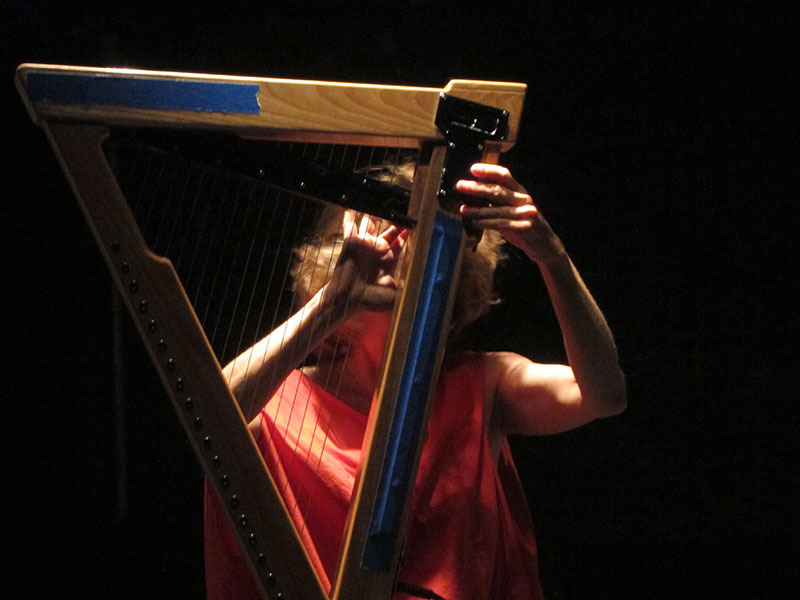 Parkins has released four solo records featuring her electric and acoustic harp playing and has released her compositions and band projects on six Tzadik recordings. The Foundation for Contemporary Arts fellowship, NYFA music fellowship, Meet the Composer commission, NYSCA composer commission, Multi-arts Production fund grant, American Music Center, bafta award for best interactive media with visual artist Mandy McIntosh and sound artist Kaffe Matthews, Peter S. Reed fellowship, Mary Flagler Cary charitable trust commissions, Arts International, Prix Ars Electronica honorary mention for Phantom Orchard in the digital music category.